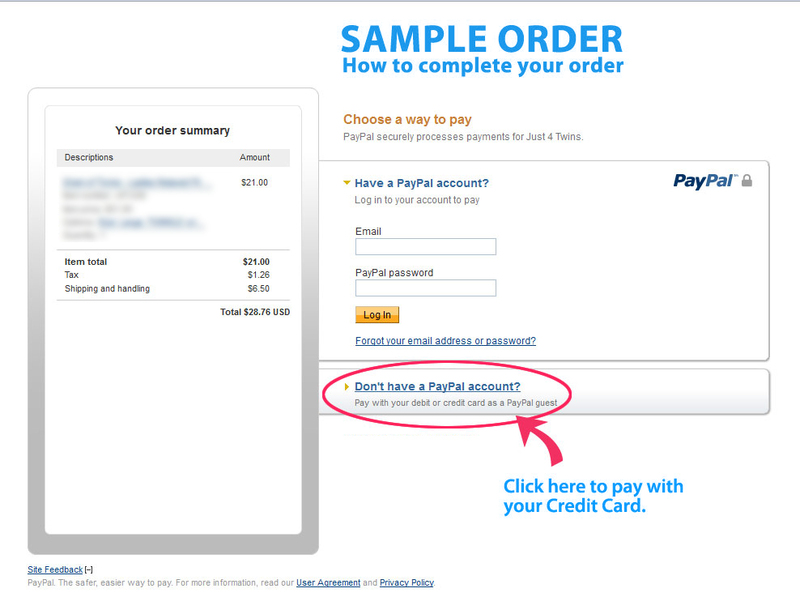 All of our payments are processed through Paypal's Secured Payment Servers, however you don't have to use a paypal account to place an order. 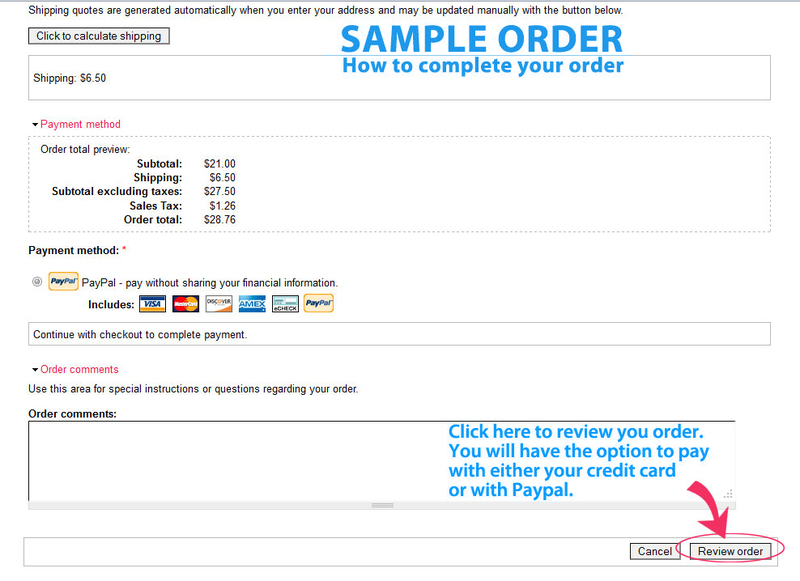 You can use your credit card!!! 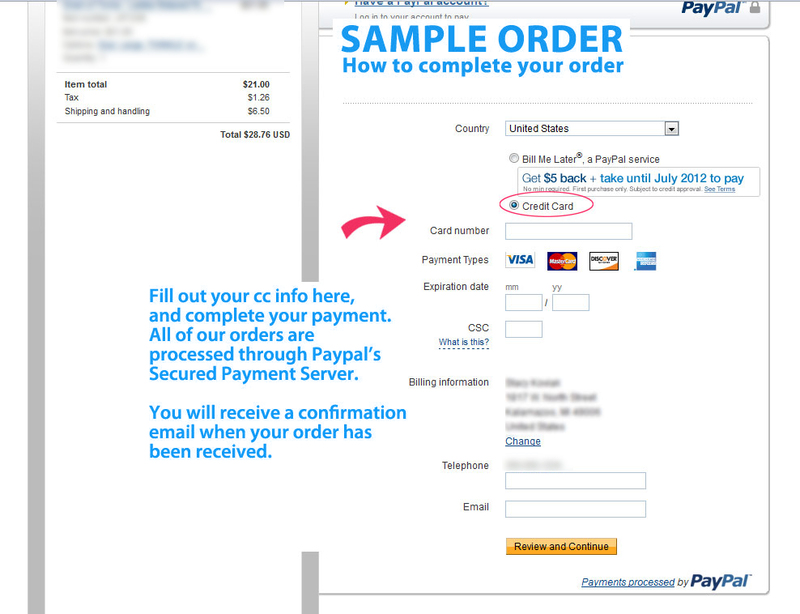 Please follow the instructions on the example below to see how to complete your payment with your Credit Card. If you still have issues with placing your order, please contact us and we'll be happy to assist you with your online purchase or take your order over the phone.